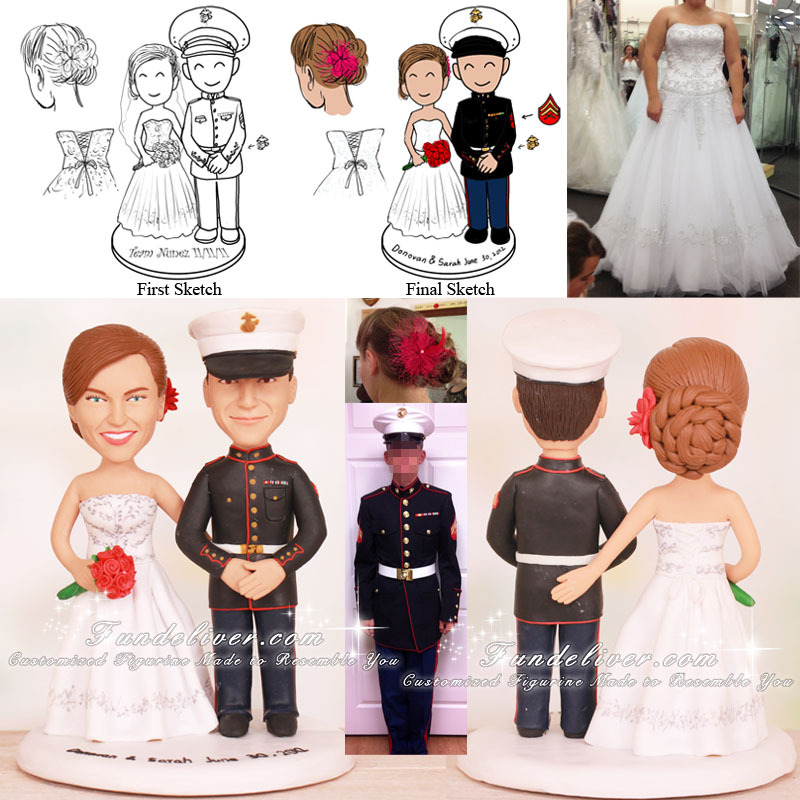 This is a completely customized Marine Corps Corporal wedding cake topper ordered by one of our customers. They would like the bride to be in white wedding dress and back of gown tied in a bow. She is wearing hair up in side bun with red hair mesh flower. 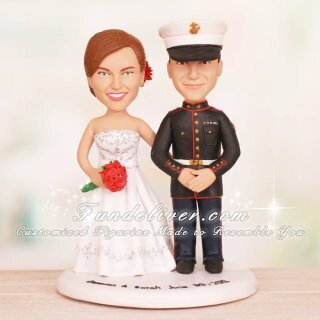 The groom is a Corporal in the Marine Corps. They would like him to be in his dress blues uniform with ribbons on the left chest, white Marine Corps hat and black shoes. His hands are left over right crossing in front of the body. The bride left hand is placed on the back of the groom, near the white belt. In the other hand of the bride is a red rose bouquet.